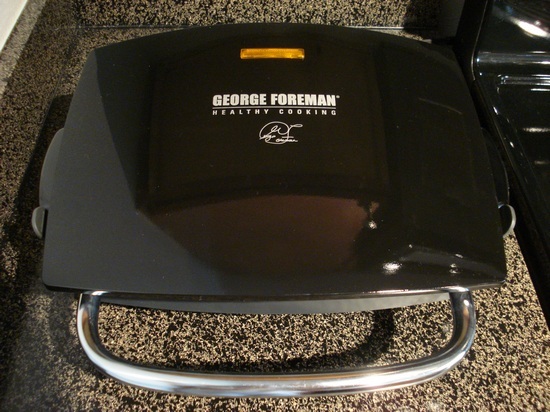 Yummies 4 Tummies :-) | Winner by TKO is…this grill! 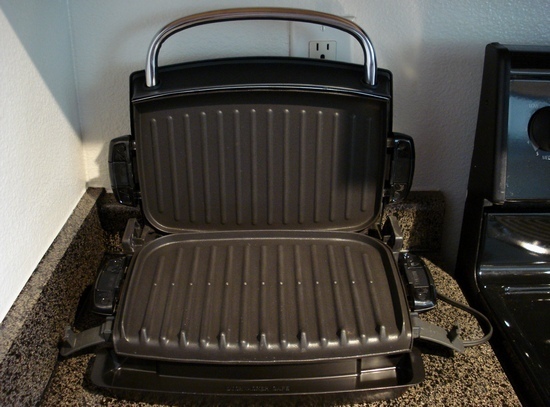 Winner by TKO is…this grill! 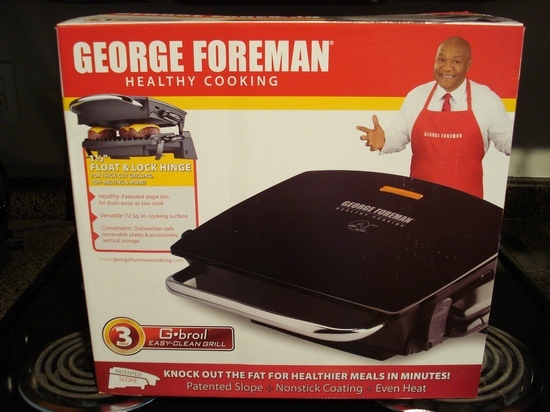 We’re now the happy owners of a George Foreman grill! Weeks earlier, Chip had mentioned cooking with one but absolutely hated cleaning it. Recently, in the household section at a grocery store, he abruptly stopped our cart in front of the 3 models on display. Not even a minute had passed before he’s grabbing a box to put in our cart. At first, I was perplexed. It didn’t seem like he had time to mull over all the different specs, but apparently, he was instantly “sold” on the removable plates. The good news for me is this meant he’d be the official “griller” in the household and if what he said was true, cleaning the grill plates would be a breeze. 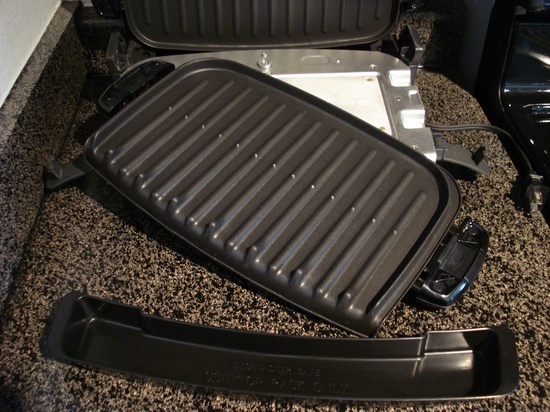 This is the bottom removable plate, but the top one does too! And oh yeah, clean-up is a cinch! We got around to breaking it in this past Sunday. Stick around to find out what my sweetie grilled. Check out my video clips on YouTube! © 2019 Yummies 4 Tummies :-).